A Web-based game that allows players to compare their community’s health to other cities was among a select few projects showcased at the Community Health Data Forum on June 2, sponsored by the National Academy of Sciences‘ Institute of Medicine and the U.S. Department of Health and Human Services. MeYou Health is dedicated to helping people pursue, achieve and maintain a healthy life by helping them engage their social networks for support and introducing them to small actions they can accomplish every day through fun, interactive Web and mobile applications. The June 2 forum is part of the Community Health Data Initiative (CHDI), a public-private collaboration that encourages innovators to utilize community health data to develop applications that help raise awareness of community health performance and spark action to improve health. The card game, Community Clash(TM), developed by MeYou Health in under six weeks, is a mash-up of the traditional community metrics being promoted by the CHDI, Twitter conversations, the Healthways Well-Being Assessment(SM) and the Gallup-Healthways Well-Being Index(TM) (WBI). Updated with 1,000 new surveys each night, the WBI is a real-time view of the public’s well-being. “Gaming provides an interactive framework to process information that can be applied to almost anything,” said Trapper Markelz. As head of product at MeYou Health, Markelz led the development of Community Clash. 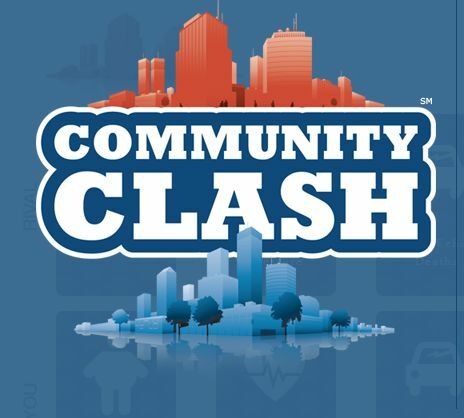 To begin playing Community Clash, a player selects two locations to compare in a head-to-head contest. Four random cards are dealt per location, each with a data point representing community indicators like obesity, smoking, diabetes and homicides, plus a fifth card with the WBI score, for each location. A player can exchange up to two of the assigned cards before play begins by reviewing a list of metrics and deciding which ones might improve their odds of winning in the clash. They also have the option of generating their own well-being score to use instead of their location’s WBI score by completing a scientifically validated assessment. “You’re taking a chance that your well-being score is better than that of your community’s,” explains Markelz. A player who gets their personal well-being score can share their “score card” with their friend’s networks, inviting social comparisons and further game play. To understand the data in human terms, players can drill down through a visualization of Twitter conversations filtered by the topics of their playing cards. MeYou Health’s database of 100 million tweets is refreshed daily with millions of new conversations providing real-time insight into topics related to the cards. Healthways is the leading provider of specialized comprehensive solutions to help millions of people maintain or improve their health and well-being and, as a result, reduce overall costs. Healthways’ solutions are designed to help healthy individuals stay healthy, mitigate and slow the progression to disease associated with family or lifestyle risk factors and promote the best possible health for those already affected by disease. Their proven, evidence-based programs provide highly specific and personalized interventions for each individual in a population, irrespective of age or health status, and are delivered to consumers by phone, mail, internet and face-to-face interactions, both domestically and internationally. Healthways also provides a national complementary and alternative Health Provider Network and a national Fitness Center Network, offering convenient access to individuals who seek health services outside of, and in conjunction with, the traditional healthcare system. For more information, please visit www.healthways.com . MeYou Health, founded in 2009 as a wholly owned subsidiary of Healthways, Inc., is a well-being company dedicated to engaging, educating and empowering people to pursue, achieve and maintain a healthy life. MeYou Health’s products help people effectively engage their social networks for support, while creating fun Web and mobile experiences that encourage people to become mindful of the small actions they can accomplish every day.